Housecall Pro is built for service pros to efficiently run their business. 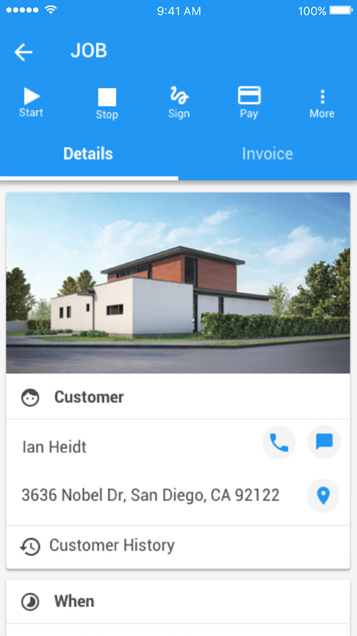 Housecall Pro makes it easy to schedule, dispatch, estimate, invoice, process payments, get booked online, and communicate with your customers; so you can drive more business by saving time, making money faster, and delighting your customers. Collect reviews after every Housecall Pro job closes, auto-magically. This will sync your new customer information with NiceJob so we can ask them for reviews. Now every time you close a job in Housecall Pro, NiceJob will collect reviews for you automatically.